After a strong year in 2015, Peter Thliveros has finished 90th or lower on the final FLW Tour Angler of the Year list for three straight years. Peter Thliveros isn't ready to use the word "retirement," but it's very likely that the big Floridian will not fish at the tour level in 2019 after 30-plus years as a mainstay in the sport's top echelon. "The reason is two-fold," he said last week. "No. 1, I'm burned out. No. 2, I'm going broke." He's divided his energies for the last 4 years between fishing and operating a Jacksonville diner. He's getting out of the restaurant business, but he says it'll take him awhile to get over the toll that venture has exacted on him. 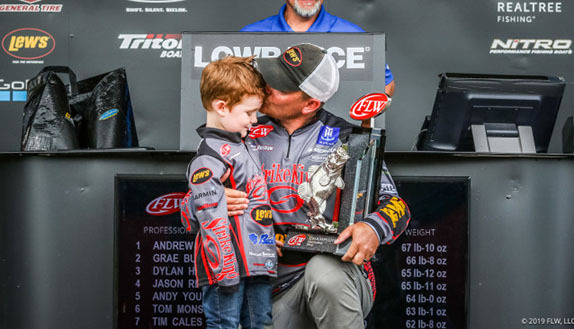 "It's taken so much out of me both physically and mentally that I'm not even at the tournaments anymore," said the six-time tour-level winner and 1996 FLW Tour Angler of the Year. "I show up and go through the motions, but I'm not really in the competition. "There's no sense continuing down that path until I get myself physically and mentally straightened out. Financially, it just doesn't make sense, the way I'm performing. I have a desire to be competitive, but at this stage of the game, the fact is that I'm not." 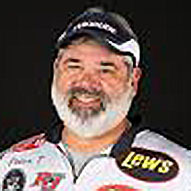 The angler long known as simply "Peter T." had a good year in 2015, finishing 12th on the FLW Tour points list. The next year he posted two top-10s, but bombed in the other five events and ended up at No. 90 in the points. 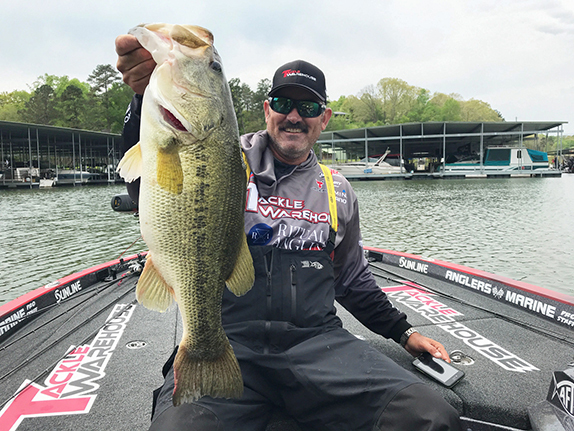 He cashed just one paycheck in 2017 (for a 46h-place finish at Lake Guntersville) and fell to No. 121 in the points standings. This year he ended up one slot lower than that and didn't make a red cent � his best outing was a 64th at Lake Cumberland. "It's just crazy how many tournaments there've been the last few years where I haven't even come close," he said. "I'm not making the adjustments quick enough for whatever reason and it's aggravating for me. I'm used to doing way better and I expect better of myself, but I'm not able to compete at the level these guys are at right now." He concedes that in a lot of ways, the sport has passed him by and relegated him to dinosaur status. "For me, the challenge was always going out there (during practice) and figuring things out for myself based on what I know from being there in the past, the conditions and the time of year, and then living or dying with that. It's an antique way of fishing that gets you nowhere now. It puts me behind the curve the minute I show up. "Very few people want to rely on their own ability these days; it's all about who can get information from somebody first and how much of it they can get. On the water, if you're sharing a spot, it's not like it used to be where the guy who got there second would say, 'Okay, I'll come back later.' Now it's boat to boat and cast for cast and it might not only be two boats, it might be six. "It's made me change the way I fish because I don't want anything to do with any of that," he continued. "There's times of the year when I'm completely out of the competitions before they even start." Even if the 58-year-old Thliveros indeed steps away from the Tour next year, he won't get out of competitive fishing entirely. He plans to continue to compete in the Southeastern FLW Series. He also hopes to have a Coast Guard captain's license before the first of the year so he can do some guiding. "I'll still be around and I'll try to keep doing some of what I've done, but I'm going to do some things differently," he said. 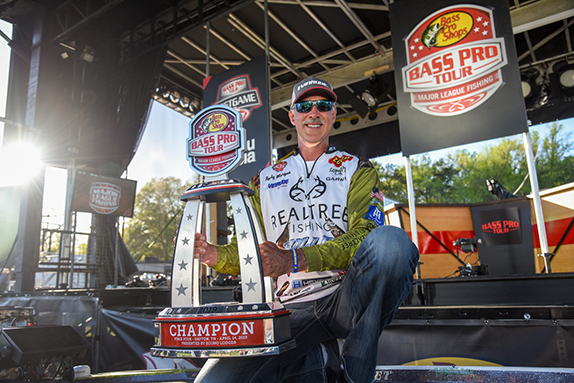 When asked to identify the career achievement he's most proud of, the 13-time Classic qualifier and seven-time Forrest Wood Cup participant points to the Bassmaster Memorial Majors he won in back-to-back years (2006-07). Those victories were worth a combined $500,000. 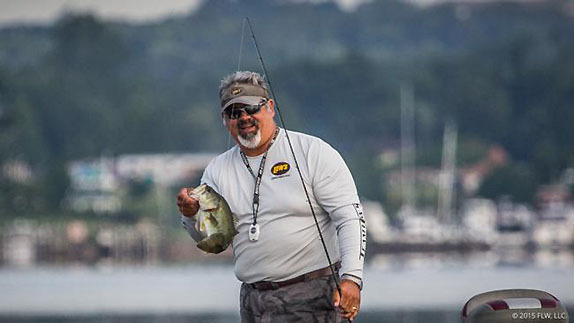 "To me, that was the purest form of tournament fishing � two days on one body of water and then the final two on another body that nobody knew anything about," he said. "If you won one of those, it wasn't because somebody helped you or you had prior knowledge about what you needed to do. It was all you. "I'd say those were the two best tournaments I ever fished and I really enjoyed them. Of course, being successful made them more fun." Rick Clunn and Guido Hibdon � "Rick Clunn because he's the best. He's the go-to guy when it comes to having done it all. Guido because he's a sportsman in the true sense of the word. He's a man of honor and integrity." Lake Champlain (NY) � A tremendous fishery for both largemouths and smallmouths. Red River (LA) � "Unless you're willing to traverse the jungle it's a tough body of water to get around on and access backwater areas." Hank Aaron � "An all-time home run hitter and the more I got into baseball, the more I realized how much adversity he faced." "I fish because my earliest childhood recollections and fondest memories are of me fishing with my grandparents and parents. I was born with it. I just love to fish."